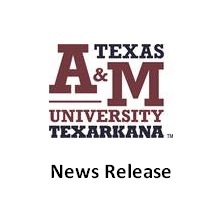 TEXARKANA, Texas – Texas A&M University and the Program for Learning And Community Engagement will host a Skype lecture with guest speaker Cael M. Keegan, Ph.D. The talk will take place on April 4 from 4:00 pm until 5:30 pm and will be held in University Center room 210. The event is free and open to the public. The discussion will focus on Femme Fatales and Queer Representation in Lana and Lilly Wachowski’s 1996 film, “Bound.” Cáel M. Keegan is an Assistant Professor of Women, Gender, and Sexuality Studies and Liberal Studies at Grand Valley State University. His research focuses on the analysis of transgender cultural production–its sensorial aesthetics, politics, and histories. Throughout his career, he has published multiple articles on transgender and queer cinema, television, literature, visual media, and photography.